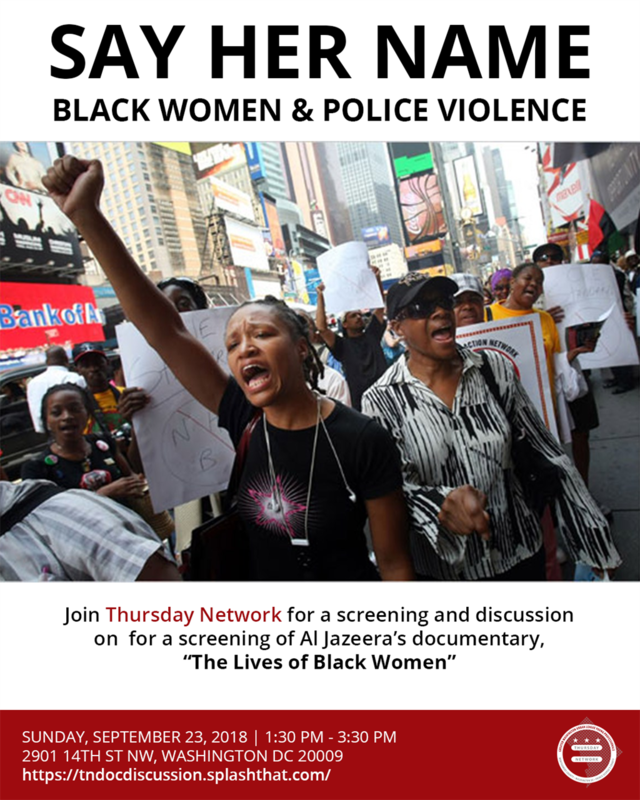 Thursday Network invites members of the community to join us, Sunday, September 23 for a screening of Al Jazeera’s documentary “The Lives of Black Women” which explores the lesser known stories of Black women who have fallen victim to police violence in the US. Following the screening, guests will have the opportunity to engage in small group discussions to explore why Black women of all gender identities and sexualities are left out of the conversation around police brutality. Before the screening, please join us for a brief networking reception with refreshments.